As part of our commitment to meeting the various needs of our patients, we have developed a series of specialty services that address certain medical conditions often related to advanced-aging, and serious injuries and illnesses. Andover Village can meet the needs of patients with complex care issues by offering a combination of quality clinical and rehabilitation services. Andover Village is dedicated to improving the lives of patients with complex respiratory care needs transitioning from the acute care hospital back home. We have Respiratory Therapist on staff 24/7. For patients with tracheostomies the Transitional Respiratory Care Program at Andover Village is dedicated to the weaning process, the goal being to ultimately remove the artificial airway and returning the normal act of breathing and eating back to the patient. For those patients with COPD returning home, Andover Village focuses on providing the patient and their family the education and training necessary to ensure a safe return to the home environment, with the highest level of independence being achieved prior to discharge. Our Ventilator Care program at Andover Village is focused on taking an aggressive multi-disciplinary approach to ventilator rehabilitation. Our weaning program focuses on reducing or eliminating dependence on a ventilator for breathing. We have a Respiratory Therapist and Registered Nurses on staff 24/7 to care for the complex needs of our Ventilator patients. For those requiring chronic ventilator services, our program is designed to provide optimum care and comfort. Our on-site dialysis service provides tailored treatment options and education to patients with chronic kidney failure and end-stage renal disease. Flexible dialysis schedules, reclining chairs and TVs are just a few examples of our commitment to providing comfort and convenience to our patients. Dialysis services provided by Davita®. 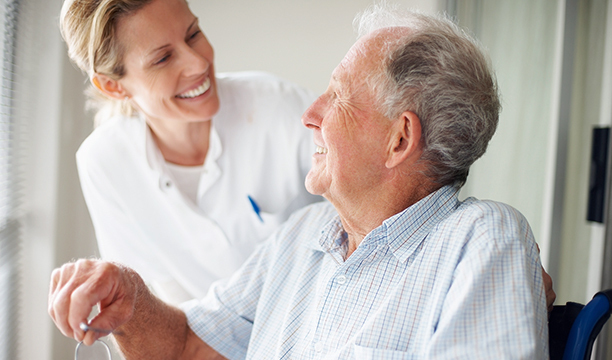 Our consistent, specially trained staff excels in the care of residents diagnosed with geropsychiatric discorders. The secure environment utilizes a holistic and team approach to care, allowing patients to experience daily life in a familiar setting. Compassionate hospice support is among the many specialty programs offered at our facility. Consisting of pain and symptom management, palliative care, counseling, and spiritual support for both patients and their families, our dedicated hospice professionals provide support and assistance in making each day a meaningful one, and preserving dignity through compassion and choice. We provide care for patients while reducing dependency upon the mechanical ventilator. Isolated Therapy Room, 24-Hour Respiratory Staff, access to a Pulmonologist, and Home Vent Education and Consultation. Ask us about our vent weaning successes. Some services we provide are offered through professional agencies that specialize in defined areas of medical expertise. On-site dialysis services are provided by Davita®, featuring tailored treatment options and education to patients with chronic kidney failure and end-stage renal disease.